The collaborative section which simplifies the communication through group messaging, file sharing, and video calls. The organisational section which optimizes time and work to do through a shared calendar and a goal management. The third section allows knownledge sharing and documents creation to give a long-term memory to the company. Atolia permits to centralize all exchanges to gain in productivity and mobilty. 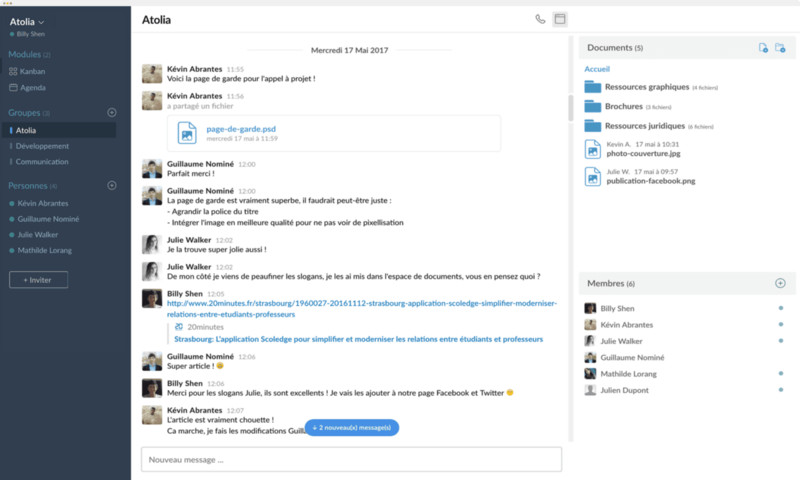 In a nutshell, Atolia is a pragmatic and refined digest of Slack, Google Docs, Trello and Skype.